So, still on with Jane Harvey, and I know I’m like a one track record this week, butl that’s how it goes. Half way through the third and final volume of Any Thing But What You Expect and I have to admit, it’s almost quite exciting, I really am enjoying this volume. But, anyway, yesterday I made an exciting, and probably astounding discovery. Well, to be fair I’m sure it isn’t, but at least it interested me at the time, and I was very surprised that, after intensive research lasting at least half an hour, no one else seems to have discussed the fact anywhere. Now the title page of Any Thing &c describes Jane Harvey as being “the author of Monteith, Ethelia, Memoirs Of An Author, records of A Noble family &c &c”., however when I looked up Monteith on that most invaluable of websites “British Fiction 1800 – 1829 Database” http://www.british-fiction.cf.ac.uk/index.html I find that it is recorded as being written by a Mrs Rice. Montague Summers in his Gothic Bibliography also lists Mrs Rice as the author of Monteith, and doesn’t give a similar title under Miss Harvey’s works. Finally, Monteith was printed in Derby by the same obscure printer as Any Thing, and it was published in 1805 which coincides with a lull in Jane Harvey’s publications. It doesn’t need to much of a stretch of the imagination to assume that Mrs Rice was actually a pseudonym of Jane Harvey. Either that, or a printer’s mistake, which solution I instantly discard as being to boring a solution and just so unlikely to ever happen. I would love to discover that, in true fictional style, she had a short and tempestuos marriage to a Mr Rice, or even that she was madly in love with a young Mr Rice and was trying out the name to see how it felt. Nothing in her on line biographies suggest that either was the case, but i shall continue to believe. Hmm – Mrs Rice’s other publication was The Deserted Wife in 1803. – now how suspicious is that !!! Anyway, with Lord and Lady Lochcarron in Volume 3 of Any Thing parading around Dorsetshire and Hampshire under assumed names, why not let Jane Harvey do so too. That is the extent of my literary detectivism for this week. Anyone who publishes a novel titled “Anything But What You Expect?” is probably setting themselves up for a fall. The title effectively guarantees plot twists and novelties, and thus we build these into our prior expectations, and leads us to continuously rty and second guess the author. I suppose that now in the twenty first century we are used to convoluted plots and shock endings, cinema and television drama depends upon them, and they have been raised to a sophistication unknown 200 years ago.Thus it is probable that Jane Harvey’s novel could never hope to live up to its title for a modern reader. At present I am approaching the end of volume 2 (of 3). We have been presented by a fairly typical story of love and marriage, albeit the love interests and marriage partners do not always coincide. As so often love is a fault of the young, and marriage is a contract essential for the preservation of the noble family name and estates. We marry where our financial needs rather than our hearts dictate. We are then given an abandoned bride, her new husband vanishes hours after the wedding and his whereabouts remain unknown for the best part of a complete volume. For once, it has been the groom that has been forced into the marriage, Cordelia did indeed love Lord Lochcarron, it was his heart that was elsewhere. Rumours abound that he has fled to meet up with Catherine, daughter of his father’s steward, his own true love; rumours even that they were already married and thus his wedding with Cordelia was bigamous and a sham. In her earlier novels, Jane Harvey was much criticised with regard to the woodenness and lack of character of her main characters. Anything flows along at a much slower pace than her earlier adventures, and gives her much more time to flesh out the personalities of the cast. She tends to be wordy, sentences writhe around like snakes sometimes looking for their endings, but in general she does give us characters in whose destinies we can take an interest, rather than two dimensional actors propelled from dramatic event to dramatic event. So – what to expect? Normally we all await the happy ending. lochcarron’s dissappearance will be explained away, fears of bigamy will be removed and he and Cordelia will live a happy life, the family estates secure and their children and grandchildren will gather around the fireside to hear of their exploits. 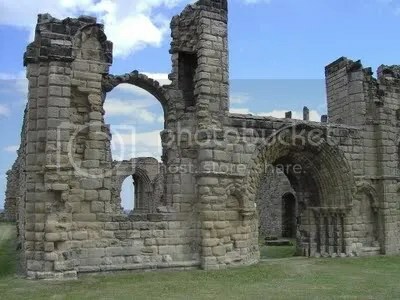 If that is the expected ending, and if we are encouraged to expect different, then maybe Catherine will turn out to be the abandoned daughter of a Count, her secret marriage to Lochcarron acknowledged and Cordelia left to live out her life, Miss Haversham like, ever the forgotten and jilted bride. Oh, how much more entertaining and refreshing the latter ending might be, I dare you Miss Harvey to write it, but sadly I think that having once raised our expectations she will eventujally chicken out and lead us to a happy ending. But again, if we expect drama and unhappiness then a happy ending becomes Anything But What We Expect. Indeed the writer may find herself in a win-win situation. If we expect the unexpected and the unexpected doesn’t happen….. – well clearly we find ourselves in the realms of a debate of higher logic. A reader feels in an aukward predicament when a hero of romance and all his party are described as being ‘in convulsions of laughter,’ produced by jokes which do not cause him to ‘shew his teeth by way of smile;’ and this dilemma occurred to us rather frequently in perusing ‘The Memoirs of an Author.’ Some interest, however, is excited by the vicissitudes of the tale, though filial piety will not be promoted by the story of Dr. Ingleby and his children.—The author constantly employs the word were instead of was, and in many passages the effect of this mistake is almost ludicrous. Curiously following that review not only did she fail to curl up and die, she continued to write and publish. Thick skinned, or just taking good advice and not reading her own reviews ? Currently reading Jane Harvey’s Anything But What You Expect, first published in 1819. 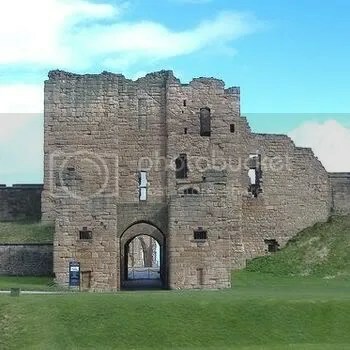 We have discussed Harvey’s work before, her earlier works, published around the turn of the nineteenth century, such as Tynemouth Castle and Brougham Castle drew strongly on the local history of the North of England where she lived. Although not fully fledged Gothic novels, they certainly drew on Gothic themes, and the castle settings lent themselves to descriptions of the picturesque in true Radcliffean style. It is interesting to note therefore that in the first volume of Anything But What You Expect she twice makes reference to “gothic”, but her use of gothic by this time is much more derogatory. She is now using gothic to represent both old fashionedness and to retsore an earlier notion of its being somewhat uncouth. Certainly Harvey in 1819 was using “gothic” to generate very different feelings to those that she would have expected with her use of the same word some 20 years earlier.